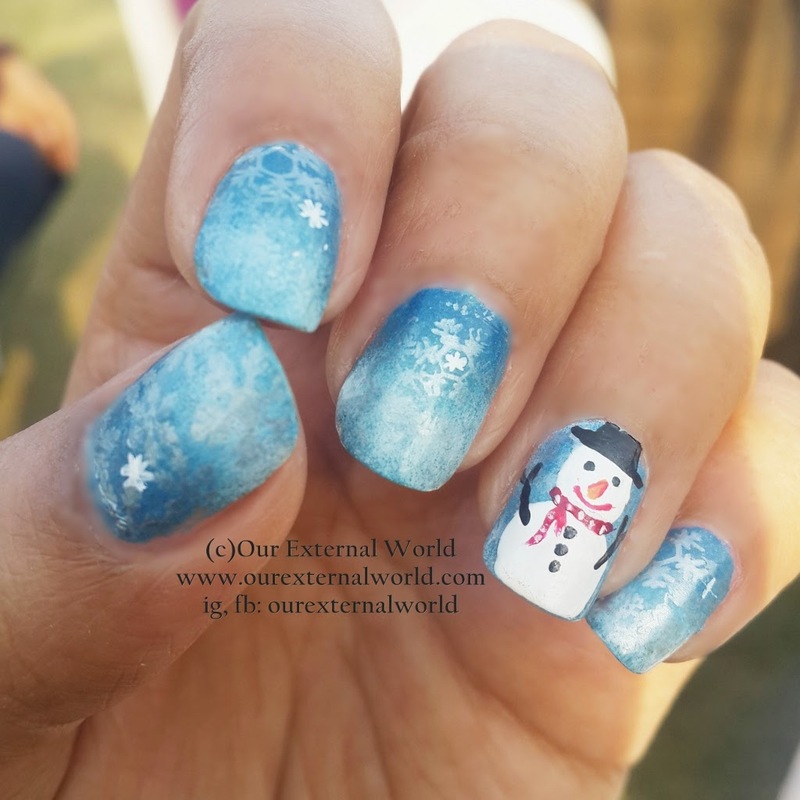 But for all of those out there who not only enjoy winters but wait for it eagerly here is a nail art I did last weekend. Mr. Snowman has come visiting on my nails! 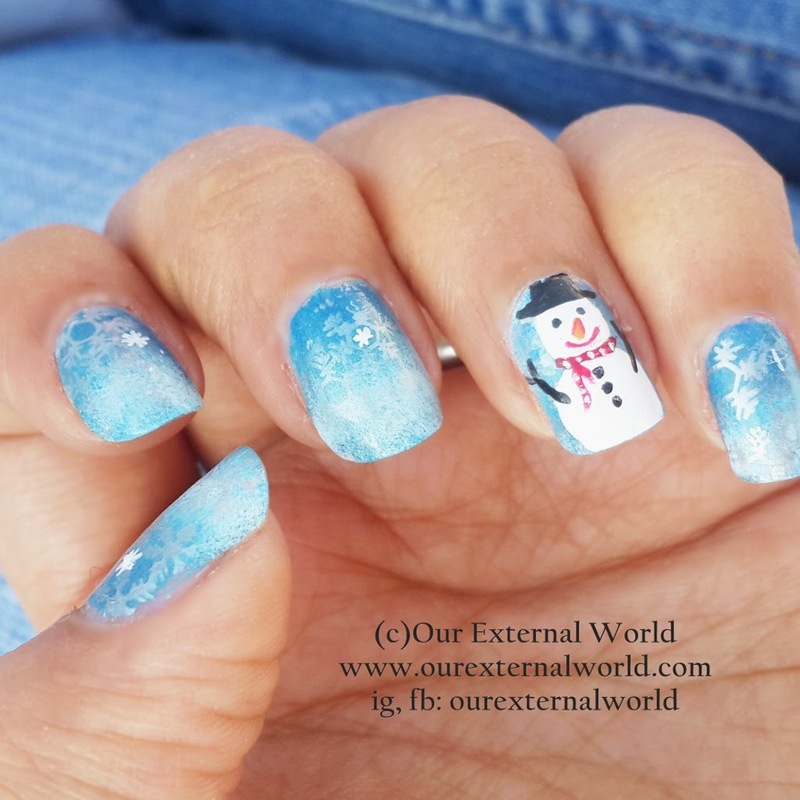 As part of a winter challenge for nail art in the STNChallenge group the theme for this week was snowman and so I did this nail art. A few of my friends at work actually noticed and appreciated my work, so yay! It always feel awesome to get appreciation in person. I hope you all will like it too. 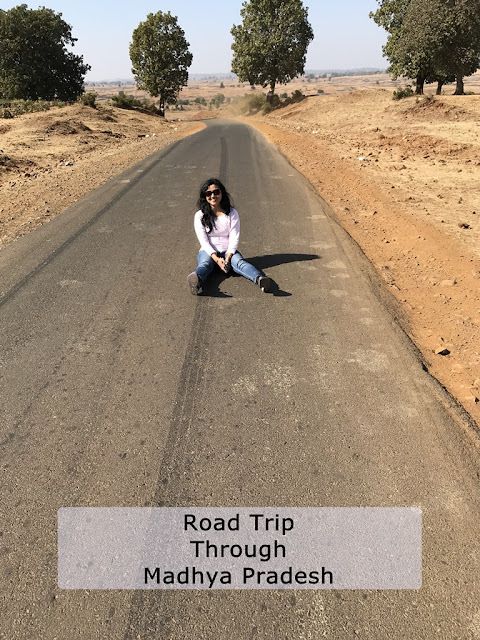 Do leave your comments to let me know. 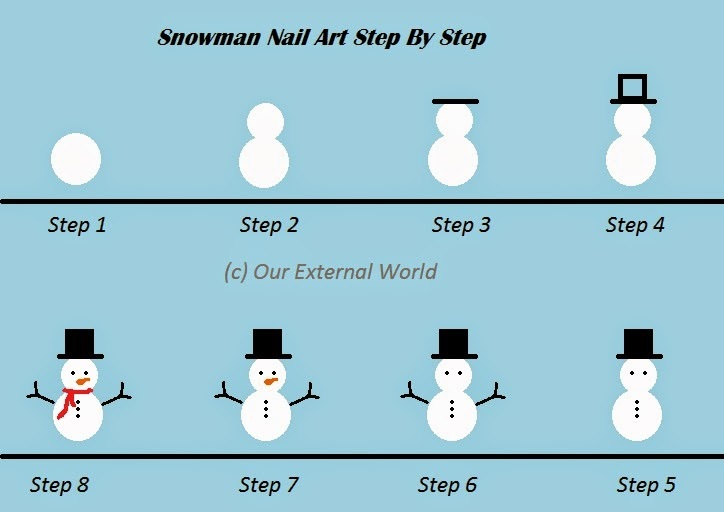 And I also did a quick tutorial for how to make a snowman, step-by-step pictorial to help you create a simple cute looking snowman on your nails. 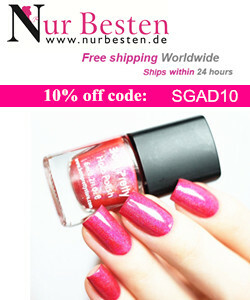 I used two gorgeous polishes for the base, one is from a brand called Envy and the other is from Health & Glow. Both these are only available in Mumbai and my sister got these for me on a trip to the city. 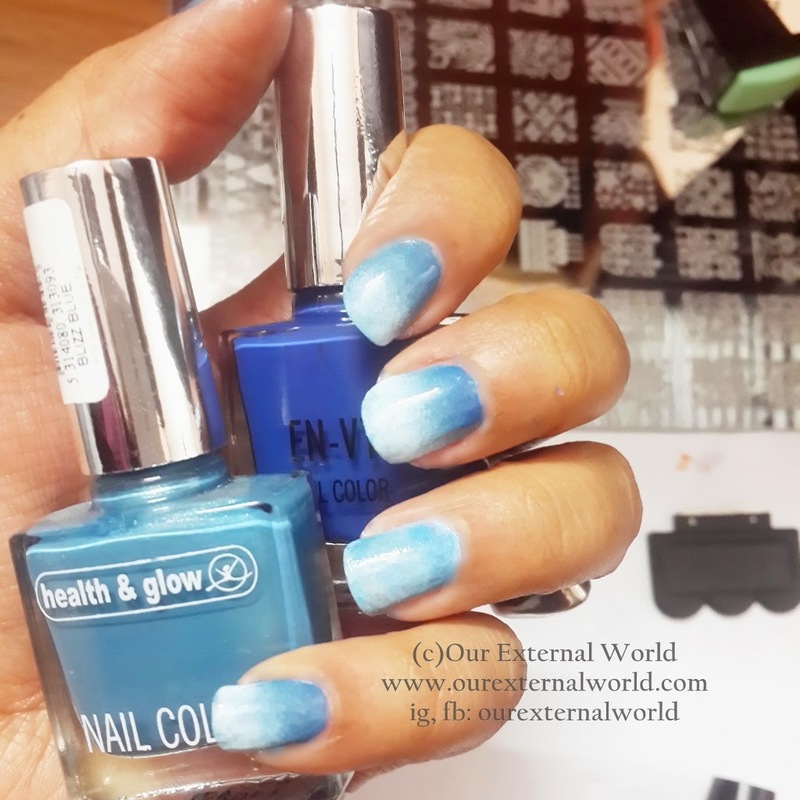 These are awesome polishes and cost only Rs 50! 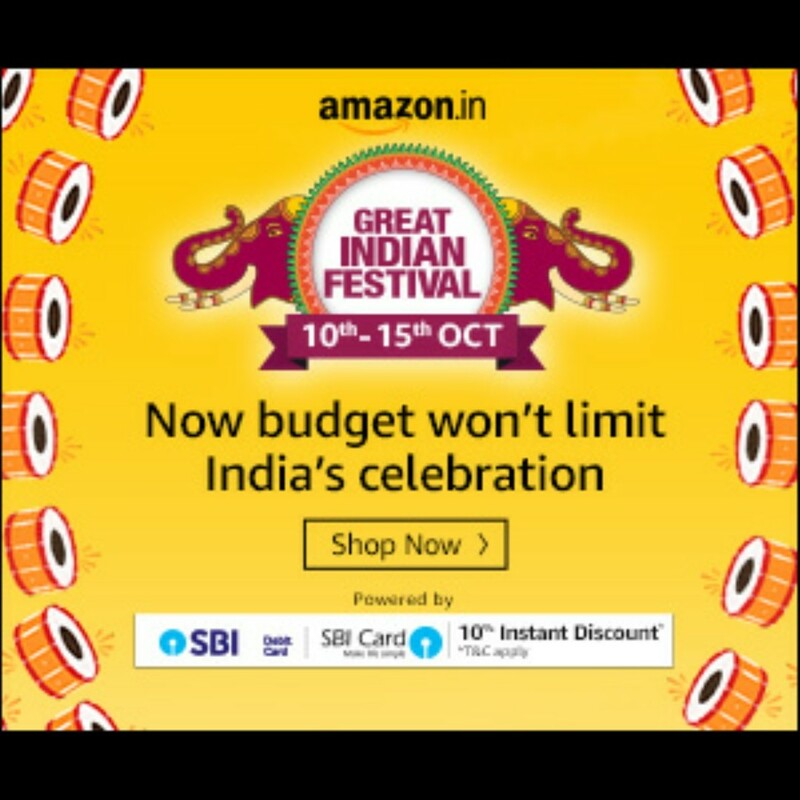 How I wish we had such good value-for-money brands in Delhi. 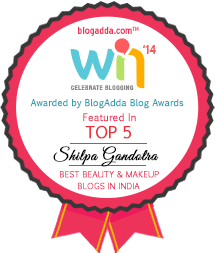 Oh my Shilpa ... this is one of ur best. It looks so nice... What a creativity !